The Vidabox i-Frame, manufactured in the USA, is made of high grade Aluminium with a High Quality professional metallic finishes powdercoated Finish that will blend seamlessly into your décor. 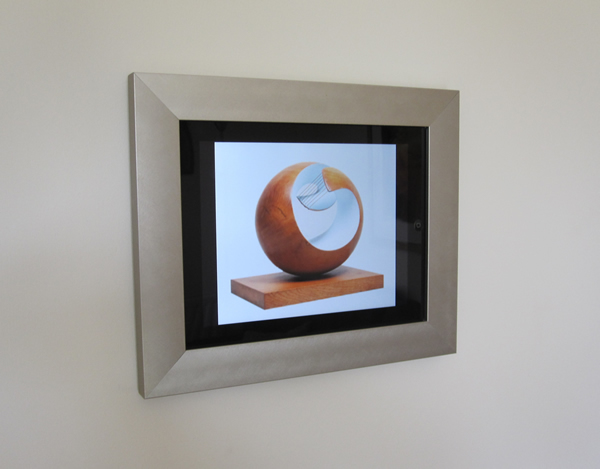 Available in seven metallic finishes, the high quality, professional, picture frame style mounting complements any room aesthetic. Easy to Install being surface Wall-mounted, it takes mere minutes to fit with only normal handyman skills required. A standard wall box is recommended to enable a hidden connection from the i-Frame to an iPad power supply. A USB-RJ45 Extended Power Connection adapter can provide power to your iPad over a CAT5 cable back to your iPad charger that can be located up to 5m away whilst still providing continuous charging. Over longer distances Trickle charging will still occur which is suitable for occasional iPad usage, but for longer distances or more continual iPad use, a higher output charging solution, the iPower Charging Station is available separately (see related products). 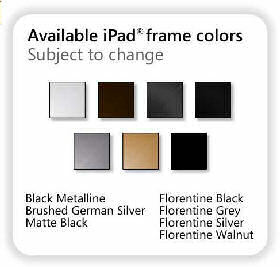 The Vidabox i-Frame iPad2 & iPad3 wall frames provide a complete and pleasant iPad On-Wall mounting solution. Available in a variety of colors and fine finishes, or custom paint it. 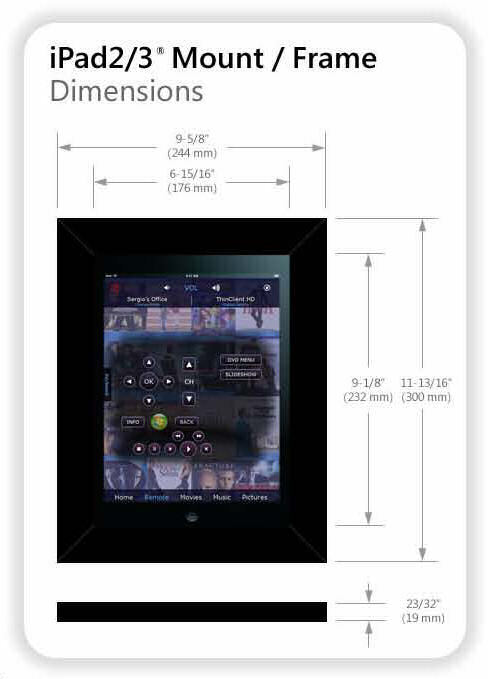 Conveniently mounts your iPad for control of your TV, lighting, HVAC, security, & more. Not all USB-over-CAT5 kits transfer iPad®-compatible 5V power reliably, plus costs for multiple extenders can add up fast. iPower™ solves both problems in one box! Value price compared to many other custom engineered solutions.